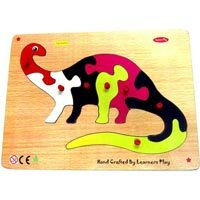 Wooden educational toys and handcrafted puzzles are undoubtedly the most significant methods to create the right learning environment for a child. In an endeavor to serve the masses with high quality wooden educational toys and other accessories at economical prices, Reliance Trading Corporation (An ISO 9001:2000 certified company) was incorporated in the year 1973. The leading manufacturer and exporter offers a wide spectrum of Child Educational Toys and wooden educational & learning toys such as Wooden Alphabet & Number Toys, Wooden Wheel Toys, Montessori Toys, Wooden Jig-Saw Puzzles, Educational Globe, etc. under the brand name “Learners Play”. 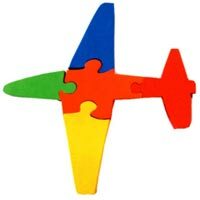 All our products are designed to stimulate reasoning, creativity and mobility skills among your little angels. Our products are manufactured by employing non-toxic paints and are tested and certified to EN71 safety standards. The company is capable of producing more than 25,000 products in a month. Our unmatched quality, client oriented approach and strict commitment towards client satisfaction has helped us to earn the trust of innumerable clients spread at every corner of the globe. We are regularly exporting our products to European, South East Asian and many other nations of the world. 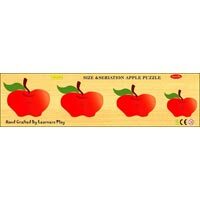 In addition to this, we are one of the most reliable Wooden Educational Toys Manufacturers as well as Teaching Aids Exporters in India. Quality Assurance We, at Reliance Trading Corporation follow stringent quality control procedures at every stage of our process that facilitates smooth and frequent production. All our products are tested to EN71 standards and are certified as such. We work in close proximity with our clients in order to deliver them with perfect solutions as per their exact requirement. The outgoing items are cross checked by experts at various levels in order to ensure the movement of only safe and best products to the market. Timely Delivery We know that there is hardly anything as valuable in today's competitive world as time. Thus, an effective system is maintained in order to ensure smooth delivery of goods to the market. Our huge storage facility and a wide distribution network of dealers enable us to feed bulk demand within tight deadlines. No compromise on quality as it represents the image of our company.